We focus on delivering transformative advantages by unlocking the potential of technology. 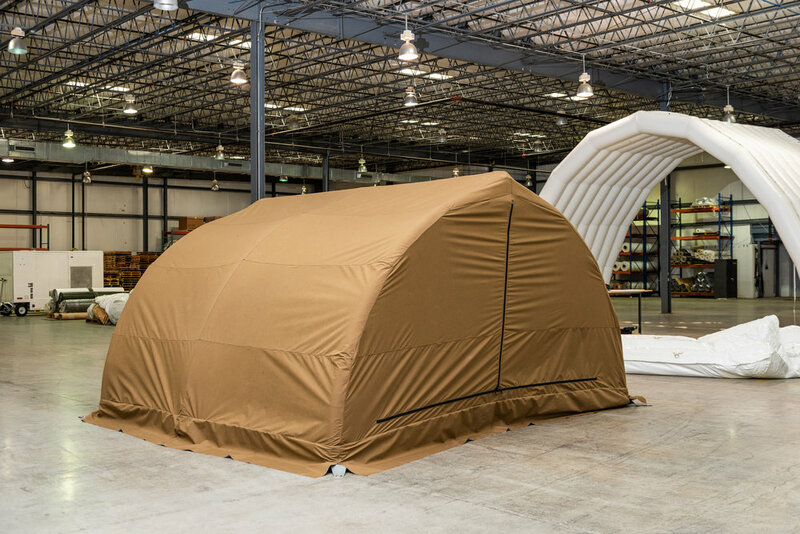 A customer needed a command and control (C2) shelter that would rapidly deploy from a tactical vehicle to create a functional workspace. The shelter needed to deploy in less than 5 minutes, boot to the vehicle, and efficiently pack to the size of a military sea bag (duffel). 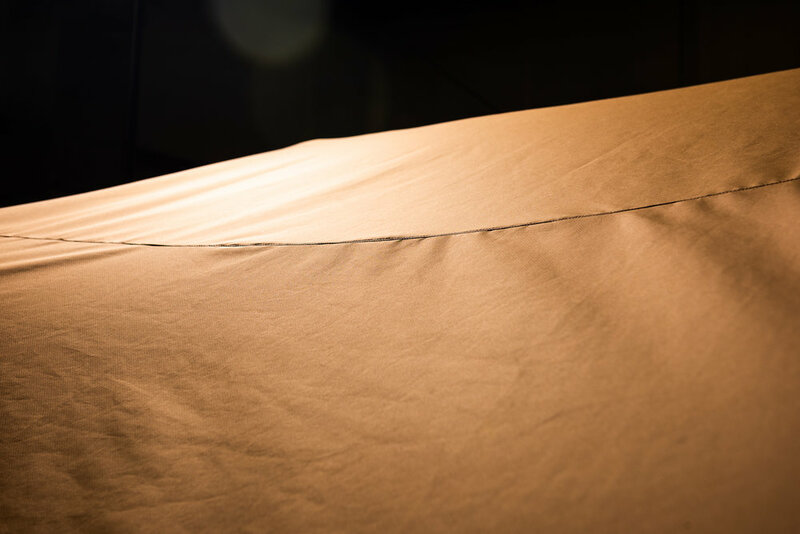 With deep experience in textiles and tactical shelter systems, Dynovis designed, prototyped, and demonstrated an air supported frame system with a novel two-stage inflation system, a breathable fabric membrane for the outer skin along with integrated lighting and cabling to support tactical operations. This concept demonstration allowed our customer to better understand the technical and performance trades and how those alternatives would impact operational utility and cost. By showcasing the "art of the possible," Dynovis' experience in rapidly transitioning ideas to concept demonstrators informed customer specifications and reduced development risk. 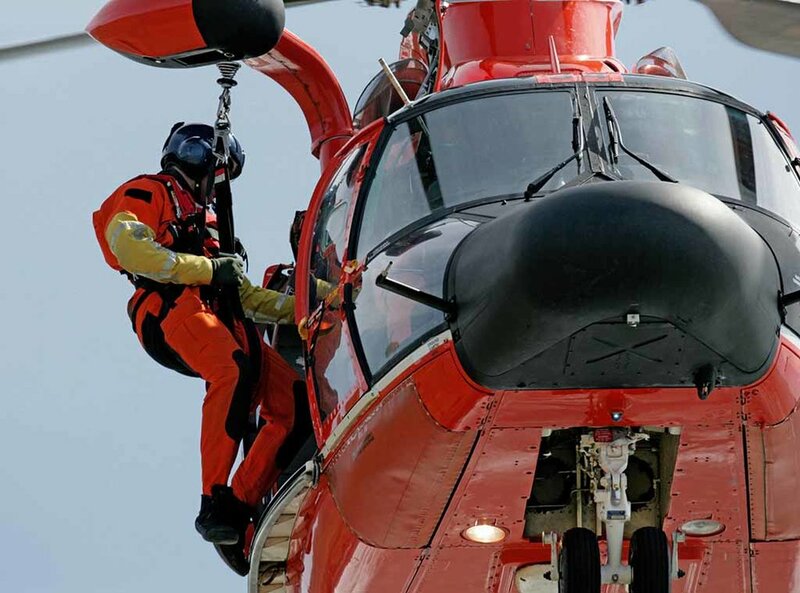 Performing helicopter rescues using a hoist is an intense and dangerous activity for pilots and flight crews. Challenges include deploying the rescue hook on target, managing weight transfer to hook, and identifying shock loads that weaken the hoist cable. With industry interest in improving safety -- and confidence in using sensor data for decision support systems -- Dynovis investigated disruptive technologies to improve the rescue experience. With experience in the development of helicopter rescue products, Dynovis engineers designed a "smart hook" that incorporates motion and load sensors, rechargeable batteries, and removable data storage to capture load and lift history for each event (date/time). Data from those sensors can be visualized on a mobile device (app) or crew displays. Digital (3D) and physical prototypes supported concept evaluation, understanding of customer use cases, and specification refinement. This project validated the concept of a smart hook for improving safety and efficiency of rescue operations. In addition, that same data can inform training and maintenance actions, serving as a means to replay the rescue (training) and create a digital logbook (maintenance). This project informed the product investment roadmap, validated the rescue hook as a sensor platform, and provided insights to a data-driven business model. From requirements and user needs, we identify solution paths, develop and refine ideas, and plan a successful development approach. We develop, evaluate, and refine digital (3D) and physical models to confirm feasibility, reduce development risk, and understand alternatives. From a refined concept and system architecture, we engineer and build prototypes, conduct simulations, and analyze performance. We conduct functional and environmental tests to evaluate performance, refine designs, and set the stage for successful product launch.